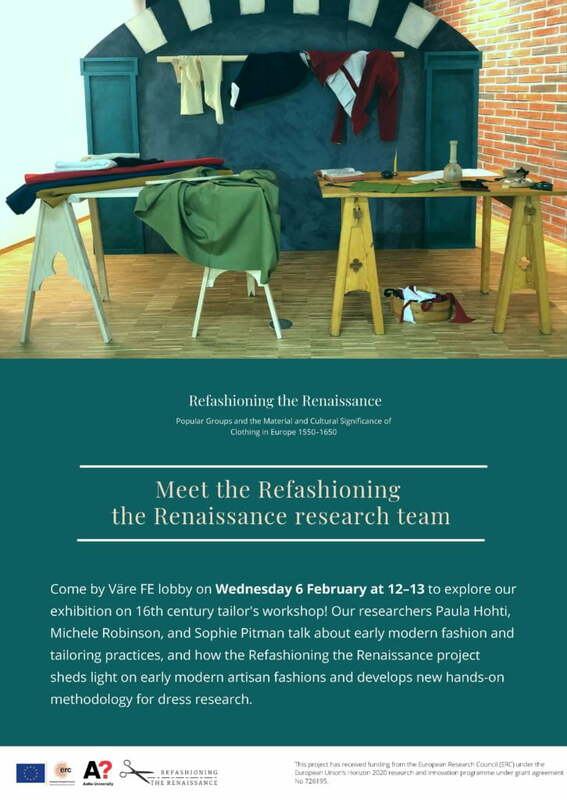 Come by Väre FE lobby on Wednesday 6 February at 12–13 to explore our exhibition on 16th century tailor’s workshop. Our researchers Paula Hohti, Michele Robinson, and Sophie Pitman talk about early modern fashion and tailoring practices, and how the Refashioning the Renaissance project sheds light on early modern artisan fashions and develops new hands-on methodology for dress research. Get to know the many tools early modern tailors used to make garments, test techniques, and try out 16th century garments!